True fibre optic lines are made of glass (silica) or plastic and allow information to be transmitted in the form of visible light (e.g. a low powered laser beam). At its most simple this is a bit like using a torch to send an S-O-S (help) message to your friend next door by switching the light on and off, except the beam would be going down a cable. Using light as a transmission method is also significantly more efficient and reliable than sending electrical signals down old copper wire. The latter is highly susceptible to interference and signal degradation over distance. It's also significantly easier to boost light signals. Optical cables are a lot cheaper than copper but the advantage of this is mitigated by the high cost (estimated to be £15bn-£30bn in the UK) of having to re-build the old telecom networks (this is why hybrid-fibre and cable networks remain so common). 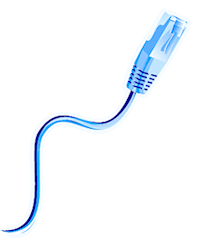 Optical cables are thus an ideal choice for a new generation of communication services, especially broadband connections with their ever growing capacity demands. Similarly not a month seems to go by without somebody finding a new way to push increasingly incredible amounts of data down a single fibre, such as by splitting light into different wavelengths, twisting it into a vortex or using the hollow fibre cables. In 2013 Alcatel-Lucent became the latest to set a new world record after they successfully transmitted information (data) at the staggering speed of 31Tbps (Terabits per second) over a single long-haul 7200km optical fibre cable (i.e. simulating undersea transoceanic cable distances). 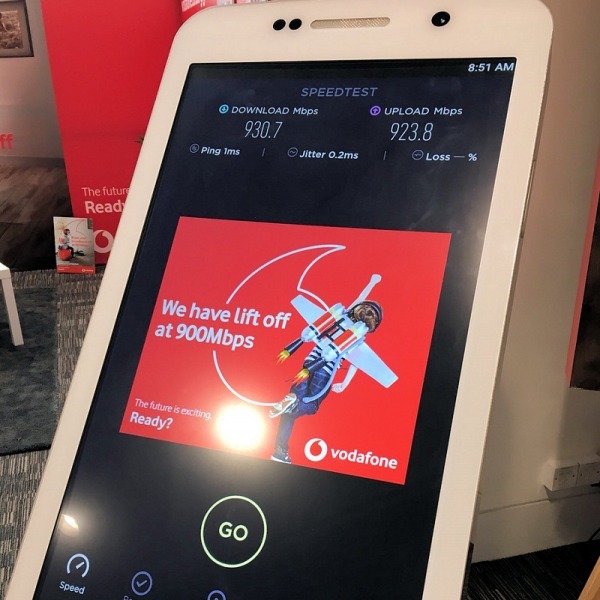 But over the next few years ordinary consumers are far more likely to see speeds of between 100Mbps and 2000Mbps (Megabits per second) or up to 2Gbps (Gigabits) if you prefer. 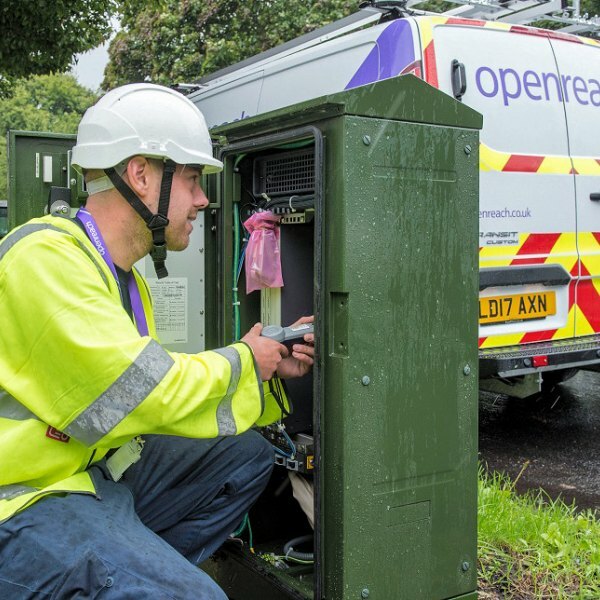 The latest FTTH/P services, most of which come from UK ISPs like BT, KC, Hyperoptic, B4RN, Gigaclear and CityFibre (Gigler), work by delivering a pure fibre optic line directly to your doorstep. At the time of writing BT's FTTP product delivers download speeds 330Mbps (1Gbps is anticipated for the near future) and uploads of 20-30Mbps, though other FTTH ISPs (e.g. B4RN) already offer a symmetric 1Gbps connection (1000Mbps for both download and upload). Sadly coverage is often only found in urban areas (towns and cities) or niche rural deployments. This is because it requires a lot of practical and expensive work (e.g. roadwork's) to build the networks, yet the service itself is usually well priced, reliable and very flexible. However FTTH connections do sadly require their own power source and as a result any outage in your electricity supply could result in downtime. A short lived backup battery solution provides some limited protection but this usually only lasts for a few hours (2-8 hrs depending on the product). This solution is very similar to FTTH/P and as a result it's often considered to be a true fibre optic connection. But crucially FTTB still requires a small amount of internal copper or coaxial wiring because the fibre optic cable usually terminates just outside the building, which shouldn't cause a significant detriment to performance but it can still have some impact (variable). The reason for this is because it would simply be far too costly for an existing property owner or landlord to replace all of a buildings existing internal copper or coaxial cable, especially if you're connecting up a high-rise building or large apartment block. In an ideal world the whole of the United Kingdom's telecoms network would be based off a pure fibre optic network, which would effectively future proof the infrastructure. But in reality the most cost effective hybrid-fibre and cable networks are likely to remain, at least for another five to ten years. 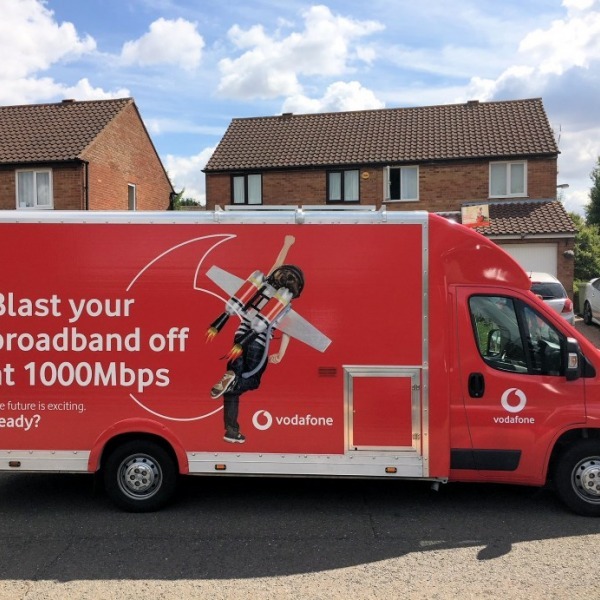 It simply makes more economic sense for big telecoms firms, such as BT, to upgrade what already exists than to take on massive debts and rollout FTTH. Similarly the government would be unlikely to boost their related public funding support by ten times the current level, which is what would be needed to the job. 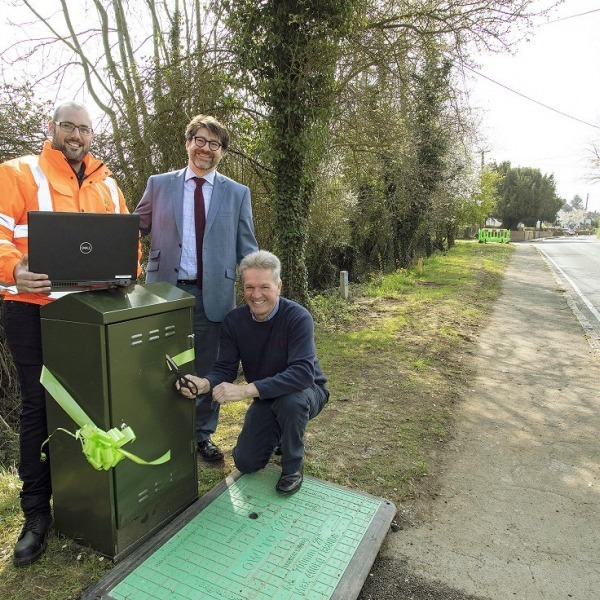 Instead the current approach is to continuing rolling out inferior hybrid-fibre solutions like FTTC. But the good news is that all of the major operators are at least bringing fibre optic cables ever closer to homes. 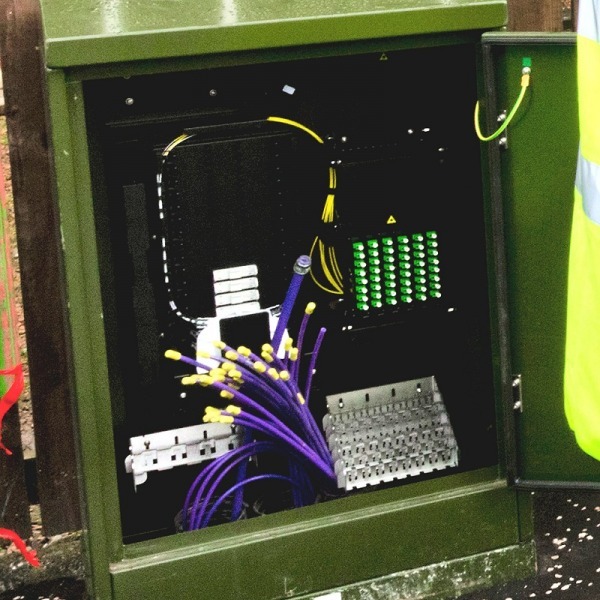 FTTC already brings the fibre to most street cabinets and future solutions like FTTdp (see the hybrid fibre section) could put it within a few metres of your home. 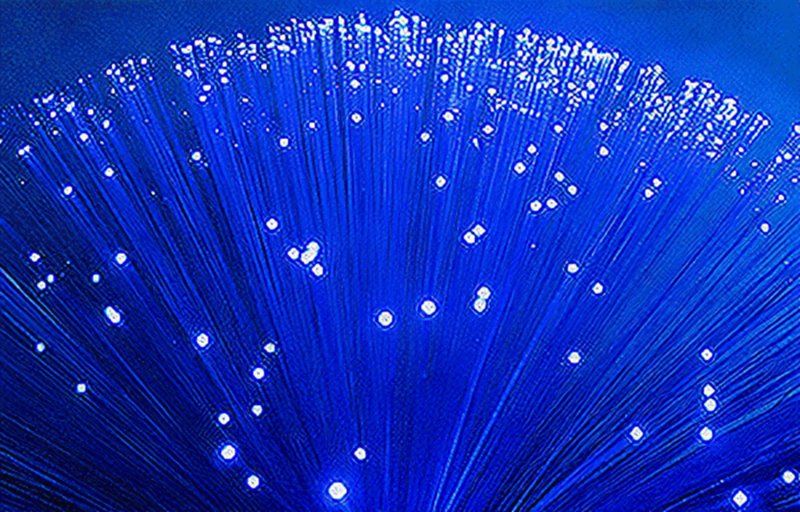 In 10-20 years' time we might then be able to replace the last few metres of copper and coax with a true fibre optic connection and at a more affordable cost. Time will tell. - Extremely expensive to deploy. - Takes a long time to deploy (street works). - National roll-outs usually need state aid support (difficult).